Okay, we all know there are plenty of cute animals out there. There are your standard kitty and puppies but when you expand your view to the worldwide nature scheme then the cuteness factor seems to go on forever. There are big adorable animals, small adorable animals, and everything in between. With endless scrolling on the internet, it's easy to fixate on adorable animals throughout the world. If your kiddo is lucky, they've discovered the adorable world of red pandas. Red Pandas are somewhat like pandas: they eat bamboo, they're chill like pandas, they even have a little hint of a panda mask. However, they happen to look and act more like a rascally raccoon than a bear. If you've been watching red panda YouTube videos with your kiddo for weeks then you can be sure they will love this kigurumi. The kigurumi is an oversized pajama-like suit that is large enough to slip over regular clothes. Popular in Japan, kigurumis are available in every animal shape and color you could think of but it's hard to believe any pajama suit could beat how cute this little guy is with his sweet little mask and striped tail. 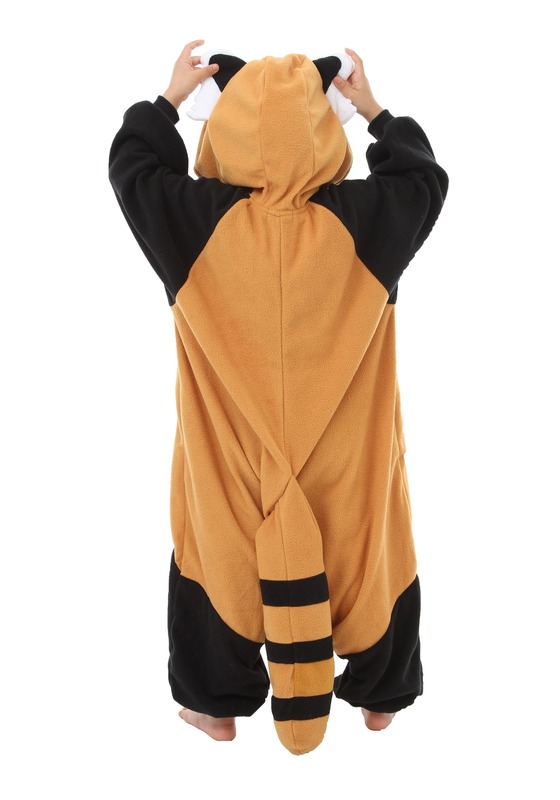 Your cozy kid can wear this suit around the house, swaying their tail as they rummage in the refrigerator for those apple slices that red pandas love so much. When Halloween rolls around this outfit can serve as the coziest costume any trick-or-treater could ask for. 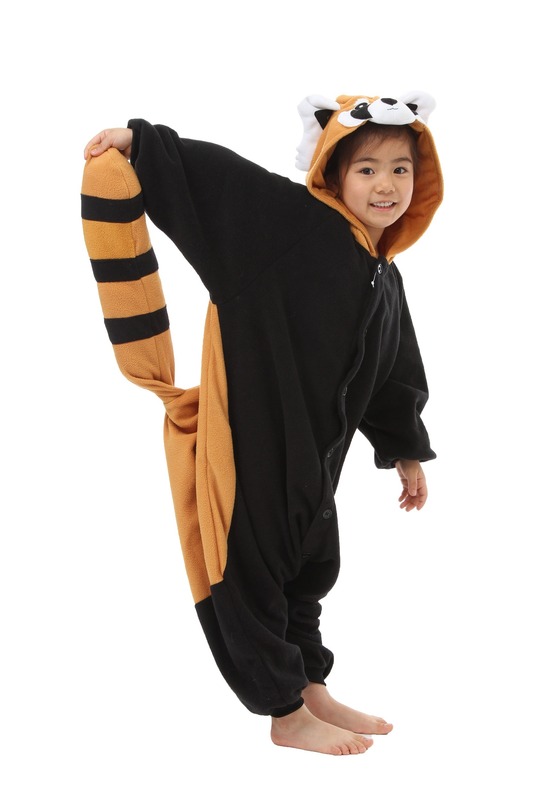 Use it for one purpose or both but one thing is for sure, in this kigurumi your child's red panda obsession isn't going anywhere.